Our values are the core of everything we do – they shape what we think, say and feel. They are the foundation of our lives. 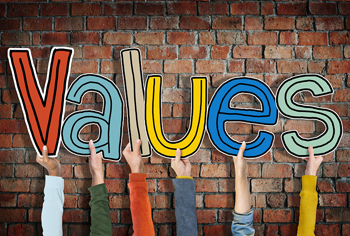 However, if somebody asks us to define our values, we have a hard time articulating them. We can all toss around a topic and share our opinion of it. Well, that opinion comes from our values – who we are and what we believe. However, truly defining them is something deeper. It takes looking at ourselves more closely, which may be a foreign – and somewhat frightening – task. Our values are our principles, our standards, our morals and ethics – that rather complex code by which we live. And when you lead a business that is born from you - from your personal vision - knowing your values and who you are isn't just a nice idea. 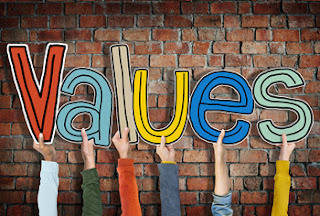 A strong connection with your values will help your business. In order for us to know if our life is aligned with our values, we must first know what our values are. What are yours?